Introduction: Why follow-up is needed; Audit Commission report recommendations; IMMEDIATE PROBLEMS AFTER ICU: Neuromuscular problems and physical weakness; Acute psychological problems, e.g. 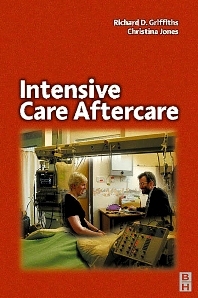 anxiety, amnesia and drug withdrawal; Delusions and hallucinatory memories of ICU; AFTER DISCHARGE FROM HOSPITAL: Sexual problems; Nutrition; Physical and Psychological recovery; Specific disease outcomes; AFTERCARE PROGRAMME - Where, when, how, and who, including ward visits and outpatient clinics for patients and relatives? ; Ward visits and the role of the clinical nurse practitioner; Ward visits and the role of the ICU Doctor; SETTING UP AN OUTPATIENT CLINIC: Doctor led; Nurse led; Rehabilitation after critical illness; Bereavement; Interventions on ICU that may impact on later recovery: Patient diaries.